The island’s volcanic origin has yielded a rich soil, which in turn has given rise to spectacular vegetation and scenery. The locale is largely unspoiled due to limited development and some spectacular coral reefs with teeming tropical fish offshore. With hiking, diving and amazing wildlife to explore, combined with the absence of crime and the perfect climate, the Caribbean Island of Saba is a wonderful vacation destination. Saba Real Estate, Economy and Infrastructure Saba lace is world famous and is also known as Spanish work lace. It was a major export in the 19th and 20th century. In the 1870s, Mary Gertrude Hassell Johnson imported the craft from Venezuela. The lacework soon spread through this Caribbean Island and the women began a mail-order business, copying addresses off shipping containers and writing to the employees. This brought in considerable orders for the lacework and started a cottage industry. By 1928, exports stood at around $15,000 USD per year. Agriculture is still a major contributor to the economy, mainly in terms of livestock and vegetables. The Saba University School of Medicine has grown with expansion and creates 200 direct and indirect jobs, along with a US $4.8 million addition to the GDP. Today, the Caribbean Island of Saba is better known for tourism, especially ecotourism. The island is still comparatively new to the industry and gets only about 25,000 visitors a year, but its excellent scuba diving and climbing and hiking locations are increasing in popularity. The scuba diving spots are deep and can be quite challenging. The waters attract experts from all over the world. There are very few anchorages and only a small airport and ferry service from St. Maarten. The brilliantly colored, pristine and virtually untouched coral and tropical sea life makes Saba one of the premier scuba diving destinations. 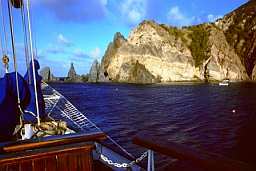 In fact, Saba is quite often listed as one of Top 10 diving destinations on most diving related sites. Most experts credit the remoteness and the extra care taken by its people as the reason for the purity of this Caribbean island’s underwater life. 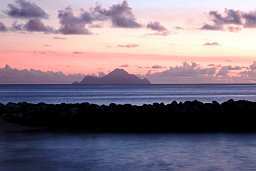 The waters all around the island have been part of the Saba National Marine Park since 1987 and are subject to government regulation and protection, to preserve the coral reefs and other forms of marine life; hence, the sobriquet the ‘Unspoiled Queen of the Caribbean’. Tourism has steadily increased in recent years and according to the official tourist bureau, first quarter tourist arrivals to Saba in 2005 totaled 7,358. Most tourists are from the United States, but now, more and more European travelers are beginning to make Saba a vacation and honeymoon destination. Saba real estate is quite affordable and attracts more Caribbean real estate investors every year. Non-residents can buy Saba real estate and formalities are easy to deal with. Saba real estate prices are affordable and Caribbean real estate investors can own a little piece of this paradise, with its amazing ocean views surrounded and by lush tropical vegetation, for quite a small amount. Single family homes, apartments and villas start at just $125,000 – a steal in this part of the world. With its unspoiled natural beauty and dearth of crowds, the Caribbean Island of Saba offers her natural charms to both vacationers and Caribbean real estate investors alike. 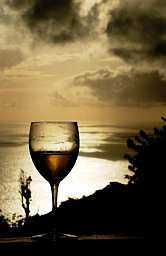 Saba Activities, Dining and Entertainment The Caribbean Island of Saba is the peak of an extinct volcano, whose last eruption was thousands of yea rs ago – this topography creates superb diving locations. A marine park was designated, surrounding the whole island in 1987, keeping the reefs in perfect condition and preventing damage. 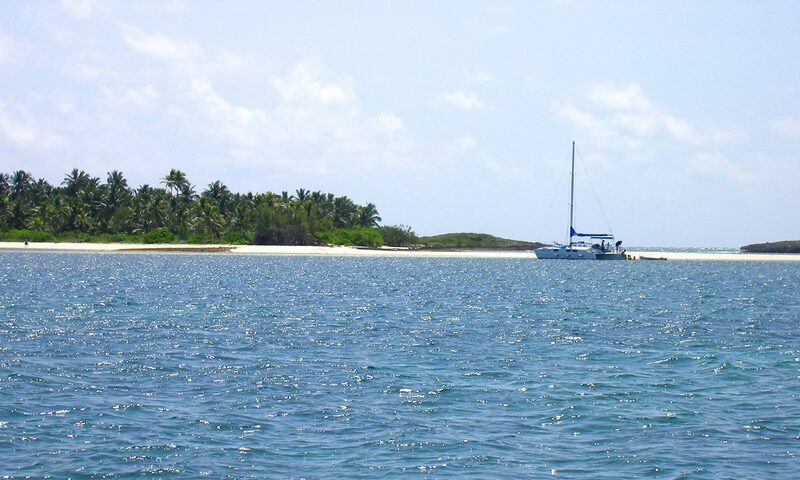 Visibility in the offshore waters is excellent and snorkeling, as well as diving are great recreation options. There are hikes, the most popular being from the windward side up Mount Scenery, over the 1064 concrete steps leading to breathtaking view and fabulous vegetation. There are other interesting trails like the round-trip Maskehorne Hill Track and the Crispeen Track. There are many shops in the villages of Saba, offering beautiful hand worked linen items and watercolors, jewelry, photographs and books. The windward side mini-mall has souvenirs, boutiques, an art gallery and restaurants and bars, as well as a supermarket and a bank. Each village has its own small, unique restaurants, most offering outdoor dining and bars. There is a range of cuisine to choose from, including American, European and Chinese, as well as Italian and a blend of Indonesian and West Indian Creole. Restaurants are open 24 hours a day, 7 days a week. On weekends they have island-wide parties, open to everyone. Other entertainment venues offer disco music or steel band drums at poolside parties and even barbecues under the stars. The carnival parade is a spectacle that combines the acts of a circus with street celebrations. The Protestant and non-Christian areas generally do not indulge in the carnival. The celebration usually ends on ‘Mardi Gras’, which is the day before Ash Wednesday. Saba Climate The mountains on this Caribbean island ensure a temperate climate, with temperatures ranging from 78F to about 82F through the year, although evenings can cool down to around the mid 60’s. The monthly average temperature ranges from 80°F in July to as low as 63°F between December and February. The constant tradewinds keep the temperature under control and relieve the heat – blankets are needed at night, even in summer. The difference in altitude ensures cooler days on the windward side. The island gets a lot of rain and more cloud cover than is common in the Caribbean, with an annual rainfall of 42 inches. December to July is the dry season. Saba is an island in the northeastern Caribbean, at the top of the Eastern Caribbean chain, some 28 miles due south of St. Maarten. Along with Statia (Eustatius), these islands form the Windward Dutch Caribbean islands. 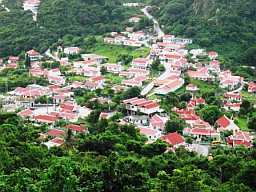 Saba is located at 63.14 West latitude and 17.38 North longitude and is only about five square miles in area, making it the smallest of the Netherlands Antilles. Saba is about 28 miles southwest of St. Maarten by air. There are five scheduled connecting flights to and from St. Maarten every day and regular direct international flights to St. Maarten from Newark, Philadelphia, Charlotte, Atlanta, Amsterdam, Paris, Miami and New York, Toronto, Montreal and Halifax. There are quite a few well-maintained moorings off the east coast, for yachts. The Edge Ferry provides regular connections from St. Maarten to Saba. The schedule, however, does not allow same day travel connections and it is ideal for those who have overnight layovers in St. Maarten. Saba Culture and History Christopher Columbus saw the island, but didn’t land on Saba in 1493 – the rocky shores were a sufficient deterrent to him and his crew. In 1632, some shipwrecked Englishmen were stranded here and found this Caribbean Island uninhabited. There is, however, some evidence that Carib or Arawak Indians may have been residents here. In 1635, a Frenchman claimed the island for Louis XIII of France. Around 1640, the Dutch West India Company colonized the island. The settlers were evicted by Sir Henry Morgan and the Caribbean Island remained in British hands until 1816, when the Netherlands took possession of it. The first plane landing in 1959 was a momentous occasion, as engineers had thought it impossible to construct an airport on the island due to its topography. The people of Saba flattened and prepared the airport almost solely by hand, enabling the pilot to land; regular air service began in 1963. There was a plan to build a road in 1930 and again, engineers claimed that a road could not be built because of the island’s steep terrain. Again, the Saban people built the road almost with only their hands. In 1943, the road was declared opened from Fort Bay to The Bottom and around 1947 motor vehicles arrived. The entire stretch was completed by 1958. The Saba University School of Medicine, a joint effort with a group from the U.S., was established in 1992. It trains doctors and health care professionals and plays a major role in the island’s economy. 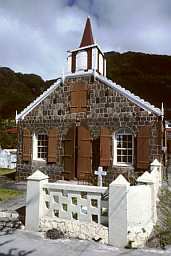 Unlike most other Caribbean islands, Saba’s terrain prevented large sugar and tobacco and cotton plantations from becoming feasible and development remained limited to small farms. The island, even now, is a part of the Kingdom of the Netherlands, with its central administration in the Caribbean Island of Curacao. Its population, some 1,500 people, is divided almost equally between descendants of the black slaves, white farm owners, students at the medical school and tourists.